Plus more new items coming to the coffee chain this summer. Starbucks has been known to get a little crazy with it's funky, Instagram-ready Frappuccinos. From Unicorns to dragons and vampires, the coffee company has pulled from all corners of the imagination to inspire its chilled creations. But this summer, Starbucks is putting something new on the menu that's got a much simpler, seasonal theme: strawberries. Starting Tuesday, June 5, you'll find a new Serious Strawberry Frappuccino on the Starbucks menu, and it's not going anywhere when summer's over. 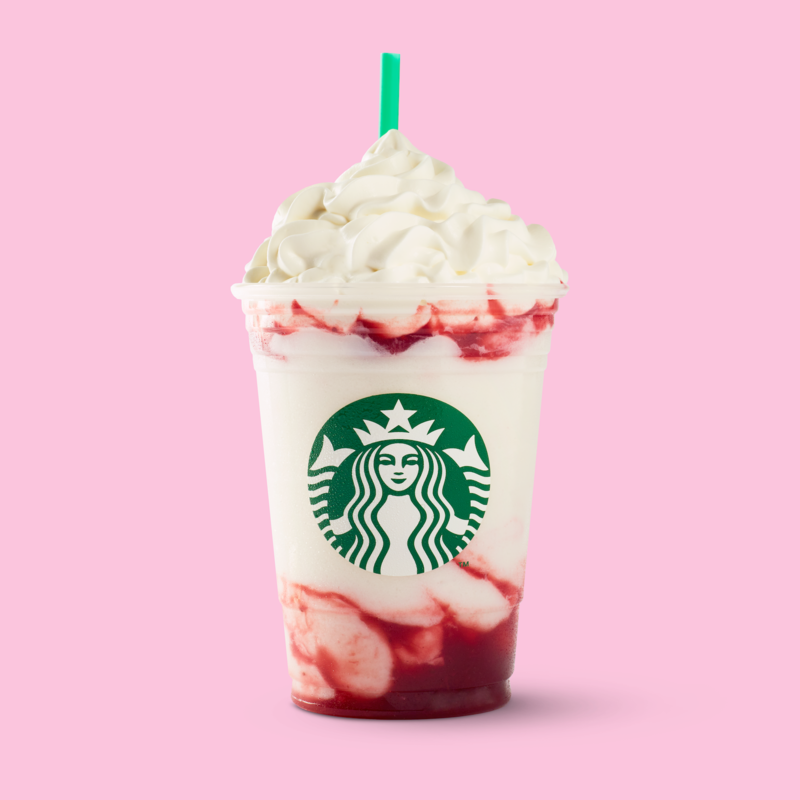 The new item is actually Starbucks' reworking of the Strawberries & Créme Frappuccino, which is an all-pink drink through and through (and perhaps it could be said the pink drinks' moment has come and gone). The Serious Strawberry edition gets, well, more serious about showing off its strawberry flavor. The beverage is layered with strawberry fruit puree, a blended creme base (ice, milk, and "strawberry infusion" blend, as the brand calls it), and topped with more puree and vanilla whipped cream. If you're a little disappointed about the lack of caffeine in this new iced beverage option, Starbucks may just be covering its bases. After all, Serious Strawberry is the third new Frappuccino to be permanently added to the menu in recent months. The company also introduced Ultra Caramel and Triple Mocha Frappuccinos in early May. Both items feature a recently added upgrade option, cold brew-infused whipped cream.